In partnership with three Italian Schools of Architecture (Venice, Ancona, Reggio Calabria) and the Parsons School of Design Strategies, Sandro presented the works that MPA have realized in context of the Bloomberg administration’s reshaping of New York City, referencing a recently published article on Lotus International: “Changing New York 2001-13. Design as Competitive Advantage.” Sandro’s lecture followed the one given by David Burney (past-Commissioner of the NYC Department of Design and Construction, now Professor at Pratt Institute). 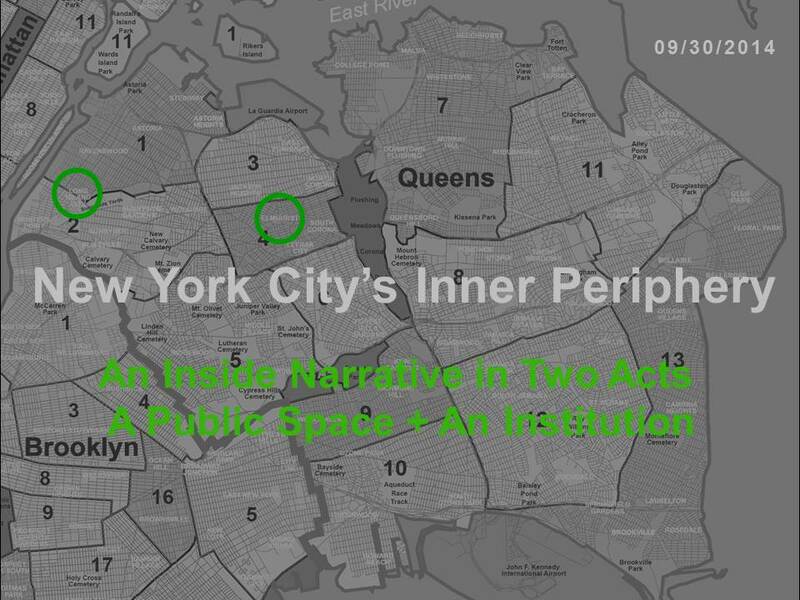 The title “An Inside Narrative in Two Acts: A Public Space + An Institution” referred to the Bicycle and Pedestrian Improvement Project at Queens Plaza and the Elmhurst Public Library (both in Queens), which include collaborations with artists Michael Singer and Allan McCollum. Public commissions at urban design and institutional scale were also discussed through other MPA projects under construction, such as the New Stapleton Waterfront, and the Children Museum’s Lightweight Structures at Sag Harbor (both in Staten Island). On Tuesday MPA presented a detailed reading of the Elmhurst Community Library at Arup, as part of their “Innovations in Architecture” lecture.. Kicking off the Year of the Pig! @Elmhurst Community Library. We are back in NYC after seeing the fantastic exhibition of the High Line at Harvard Graduate School of Design, winner of the 13th Veronica Rudge..